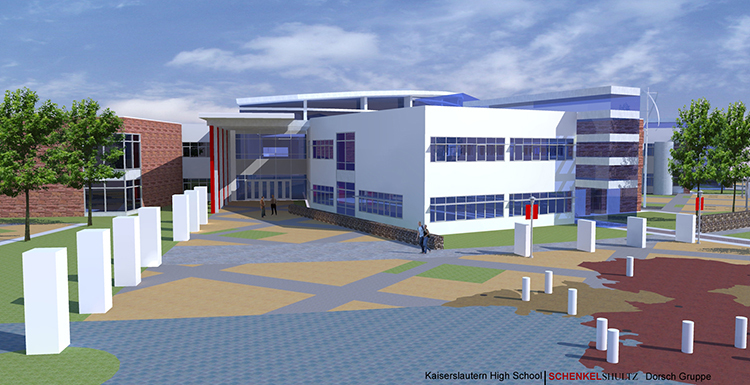 Structural design concepts were developed for a new high school to replace the existing high school. The design was required to comply with the DoDEA Education Specification and their 21st Century Schools concepts and themes, to the greatest extent possible, within the DD Form 1391 parameters. 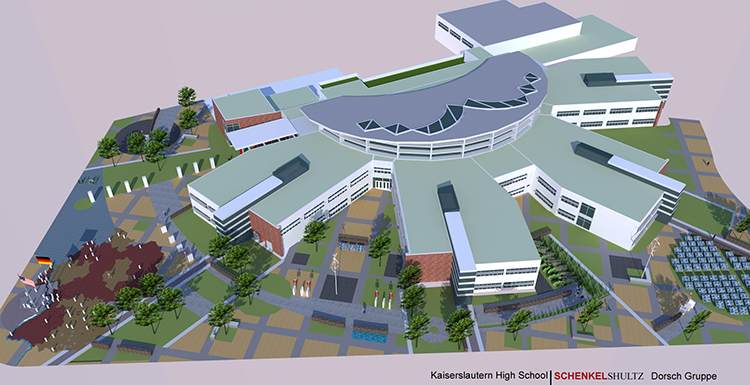 In addition to these concepts, the high school is to include common areas, food service, music and art areas, flex and technical education labs, JROTC, culinary arts and information centers, and offices. The project will also provide a new gymnasium, auxiliary gymnasium, soccer and softball fields, and basketball and tennis courts. The U.S. design team met and collaborated closely with the Host Nation design team, since the design of this project will be completed by the Host Nation’s design team. This collaboration ensured that the developed concepts and the future project phases are in conformance with both U.S. design codes and standards, including AT/FP, and the applicable Host Nation design standards, codes, and construction practices.